Tim Harford discusses The Logic of Life: The Rational Economics of an Irrational World. Tim Harford's book The Undercover Economist Strikes Back: How to Run-or Ruin-an Economy was available from LibraryThing Early Reviewers. Tim Harford's book Adapt - AUDIO EDITION was available from LibraryThing Early Reviewers. 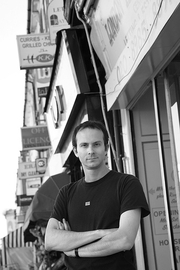 Tim Harford is currently considered a "single author." If one or more works are by a distinct, homonymous authors, go ahead and split the author. Tim Harford is composed of 5 names. You can examine and separate out names.